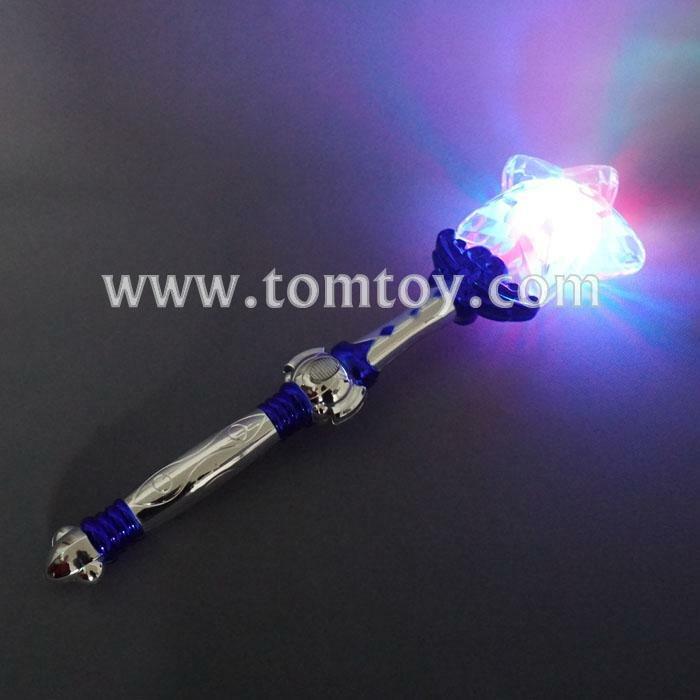 1.Our LED Star wand is the perfect accessory for any fairy or princess costume. 2.The LED lights can be controlled with the touch of a button and can control the multicolored lighting blinking. 3.Press up,light on.Press down,light on with music. 4.Three pieces AAA batteries are included and installed.